← Block B: US Tour in November! 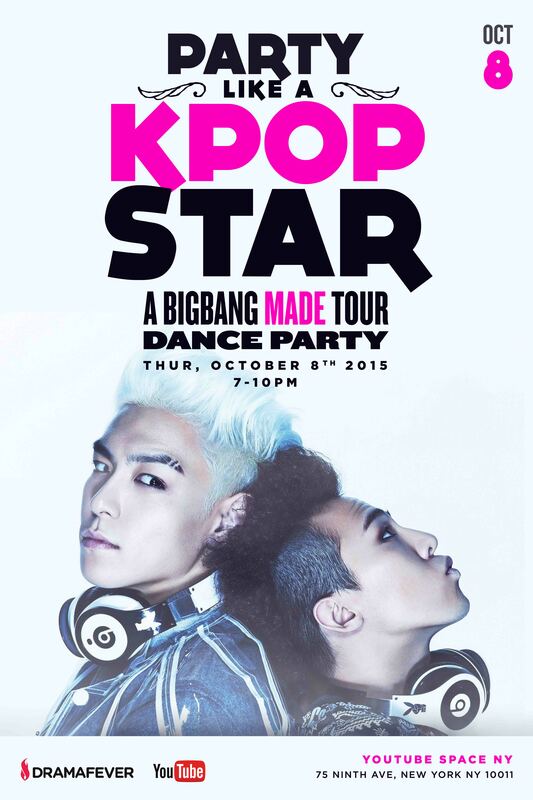 Our friends over at Dramafever are going to be hosting a party on October 8th (Thursday) in honor of Big Bang’s upcoming MADE Tour stops in NJ! There’s going to be food, fun and of course, lots of dancing to your favorite Big Bang hits! Meet other VIPs and mingle as you gush about your favorite Big Bang moments! Also, party-goes can participate in a dance-off for special swag, and some lucky attendee will even receive tickets for Big Bang’s NYC concert! Check the link to the event page to get more info and register! Have fun everyone!